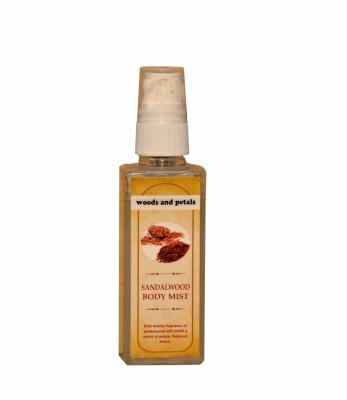 Sandalwood Body Mist: As it is an alcohol free formula , it is ideal for very delicate skin. Does not dry your skin as there is no alcohol. Benefits : Rich woody fragrance of sandalwood will instill a sense of calm, regulating your sleep cycle. Reduces stress. Directions for use: Shake well before use. Simply sprits onto wet or dry skin for the ultimate refreshing experience.